For the first time in history, the Nueva VersiÃ³n Internacional and the New International Version come together in one volume, to offer the reader the possibility of having the two translations together. 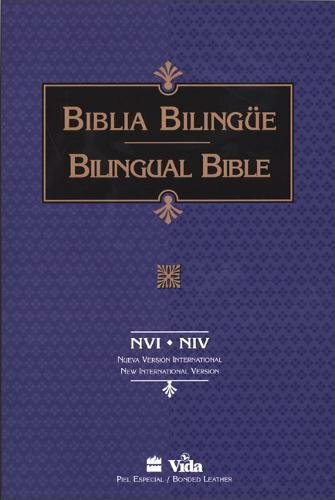 Originally published in 1999, this easy-reading, bilingual version puts together, for the first time, the Nueva Version Internacional and the New International Version of the Bible. This second edition includes a Spanish-language glossary, abridged concordance, and brief title index. The tables of weights and measures appear in both languages. Ideal for those in evangelical and diverse denominations who want to enhance their language skills in English or Spanish or need a bilingual bible for reference. Also available in bonded or imitation leather and hardcover.